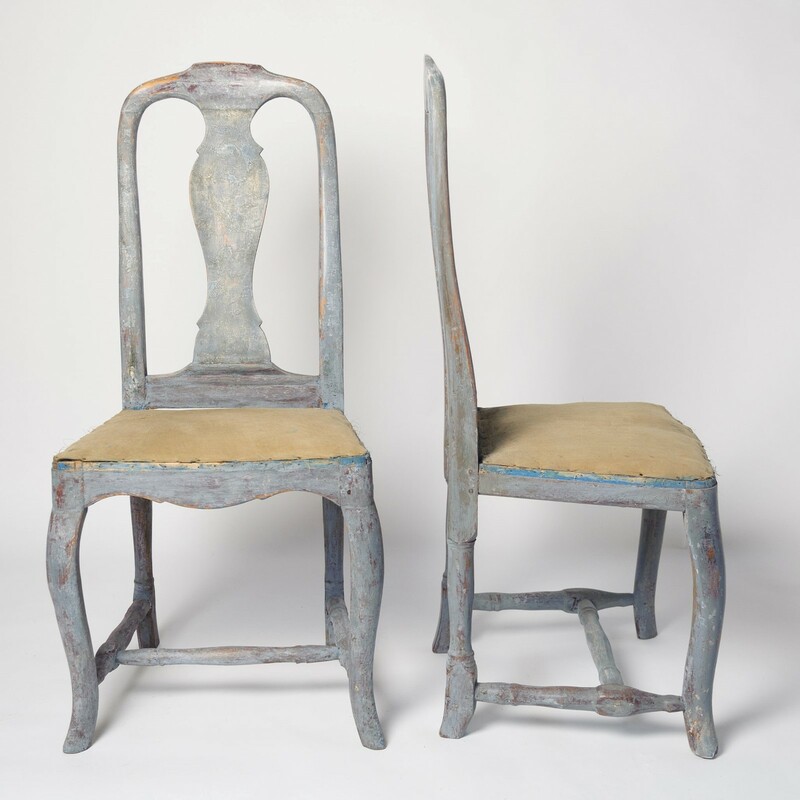 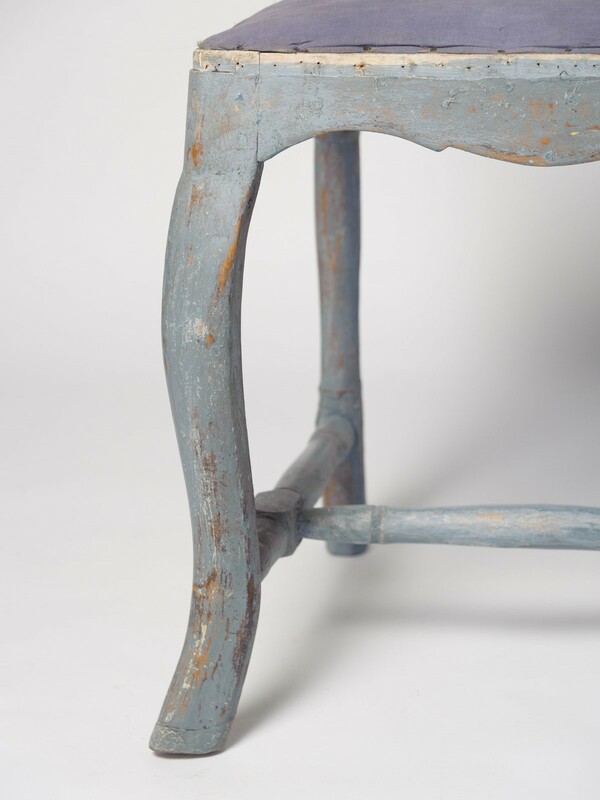 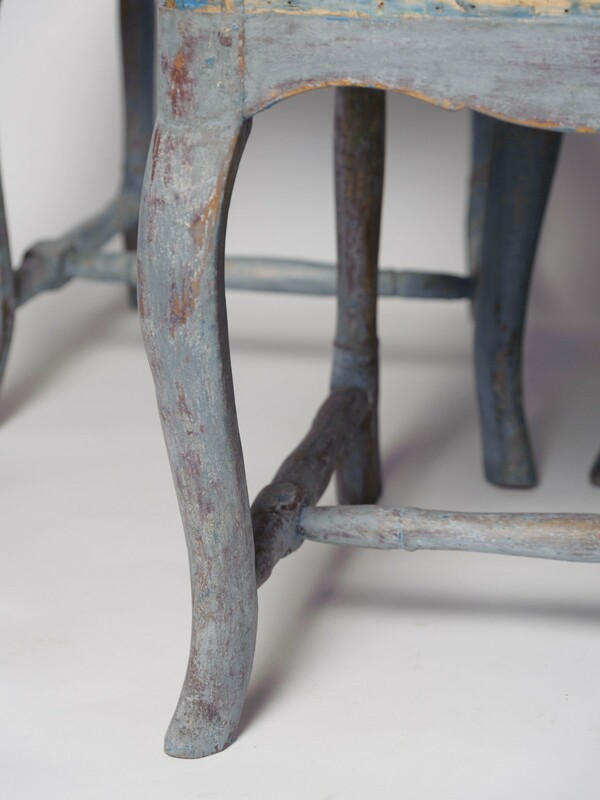 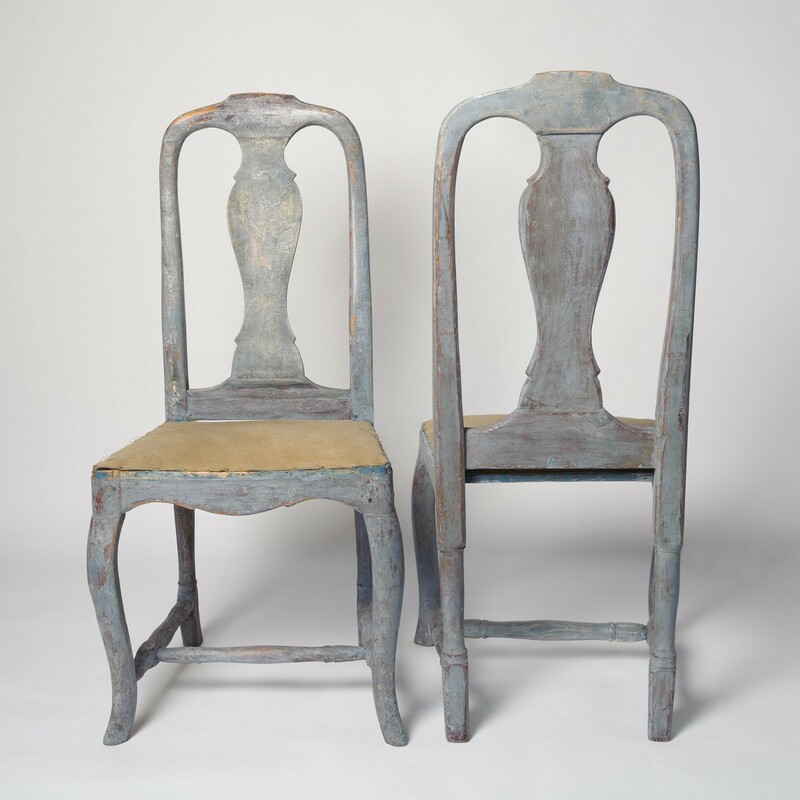 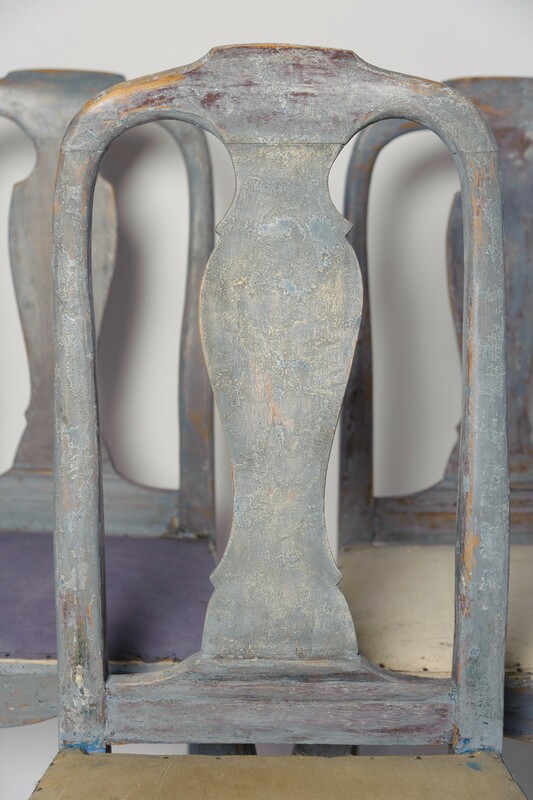 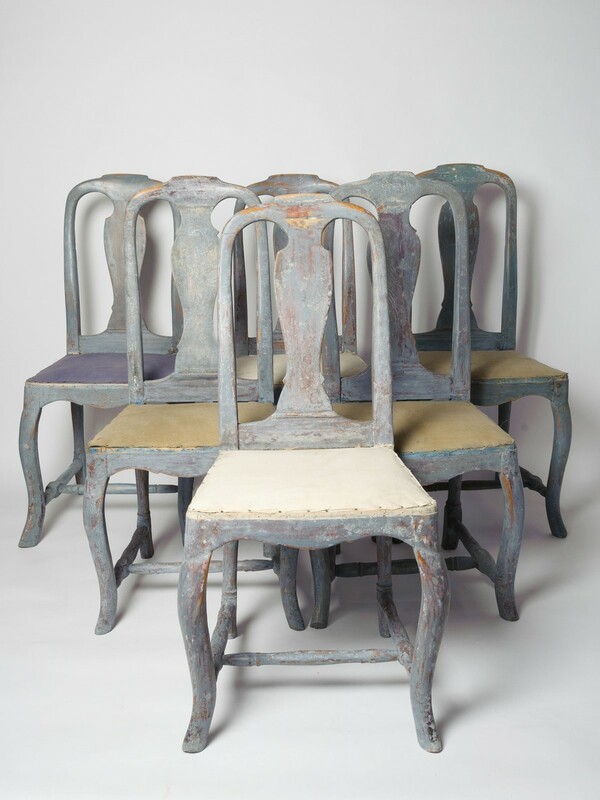 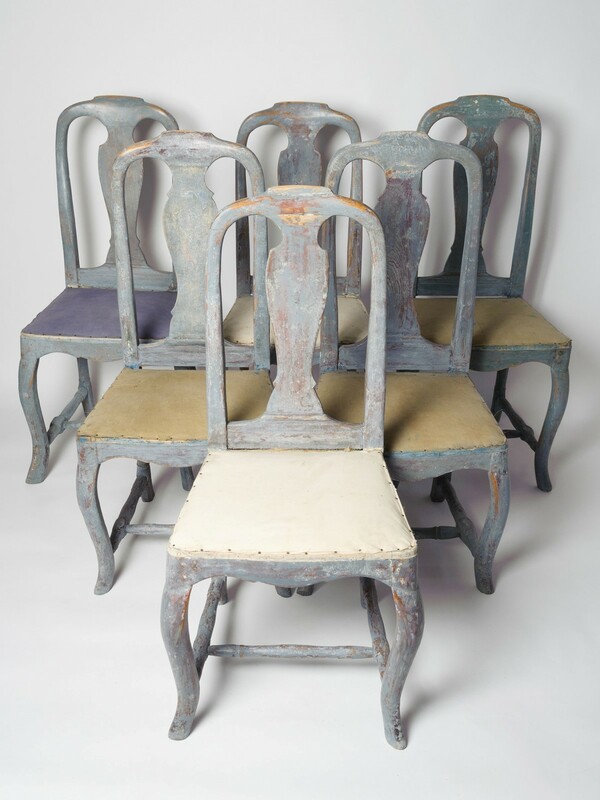 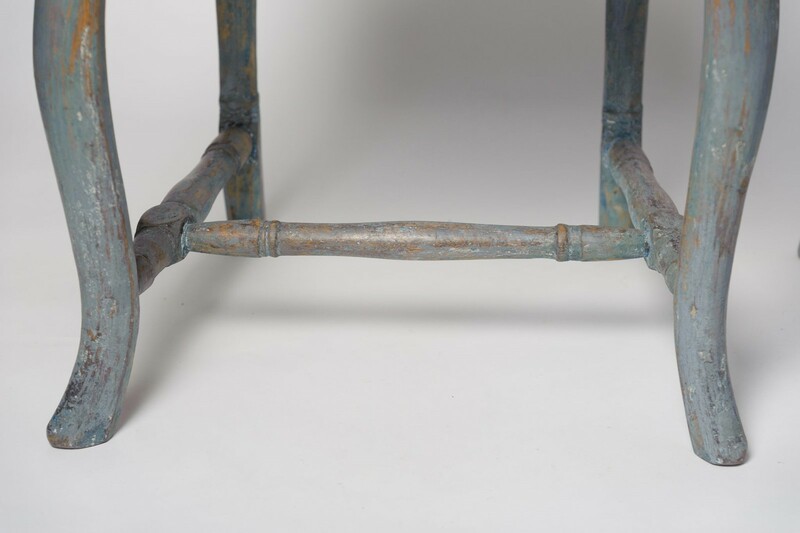 A beautiful set of Dining Chairs, circa 1780, originating from the Dalarna Region of Sweden. 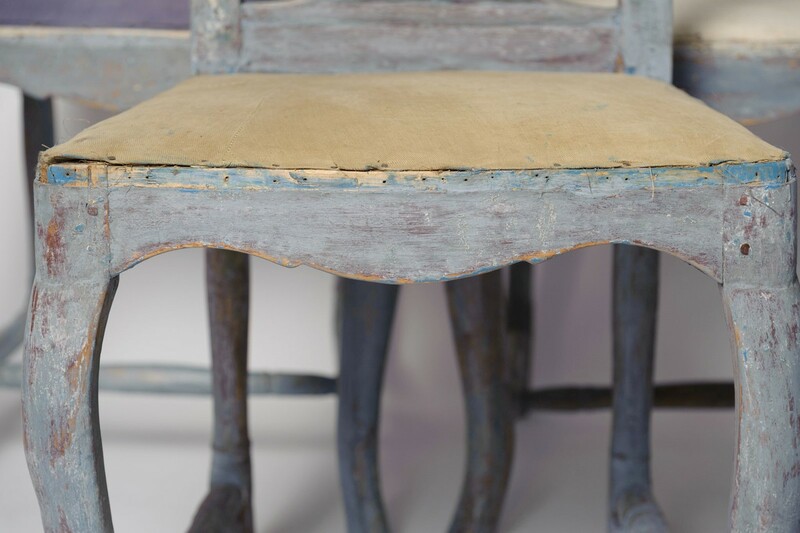 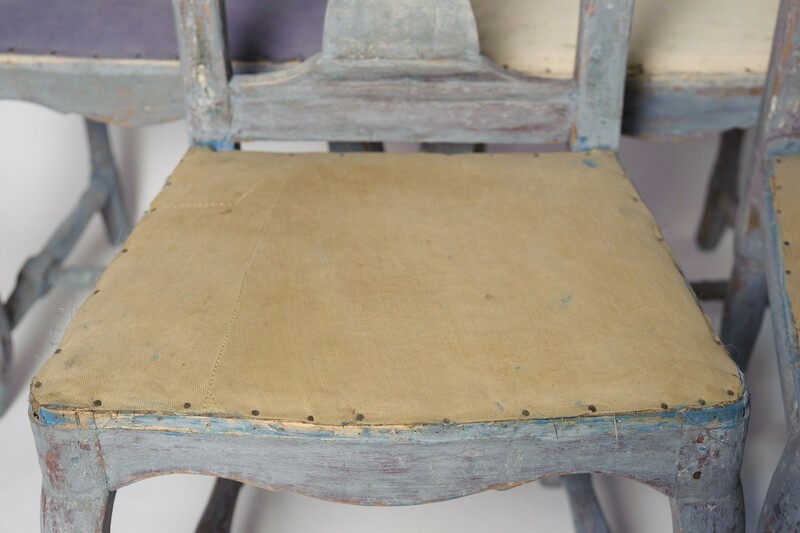 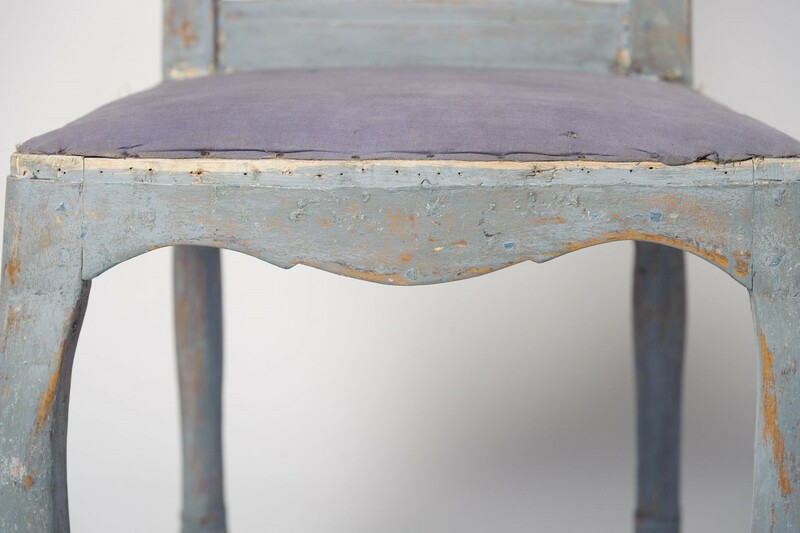 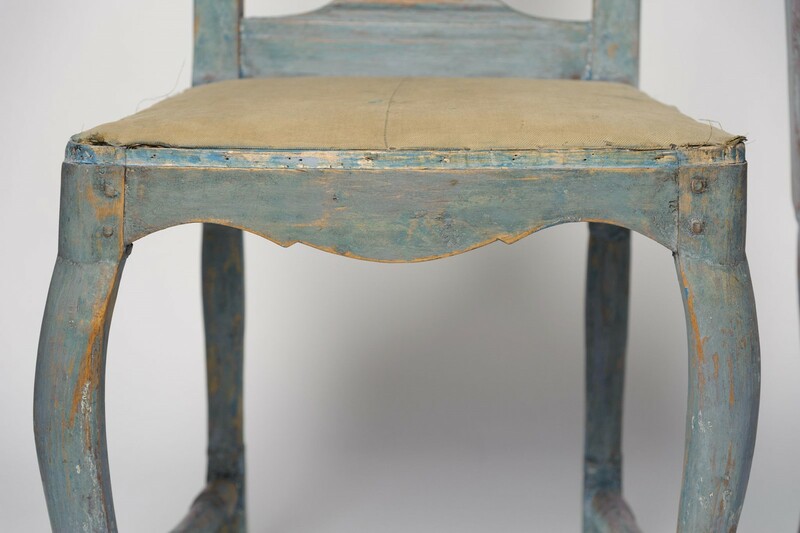 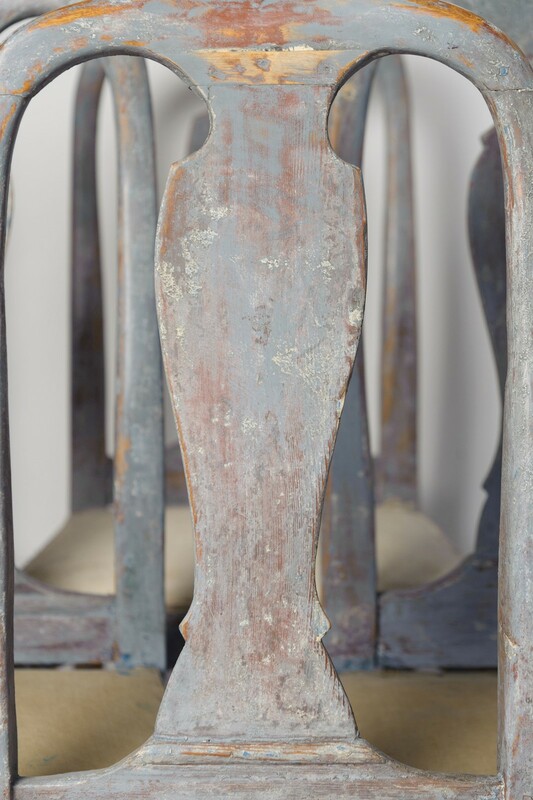 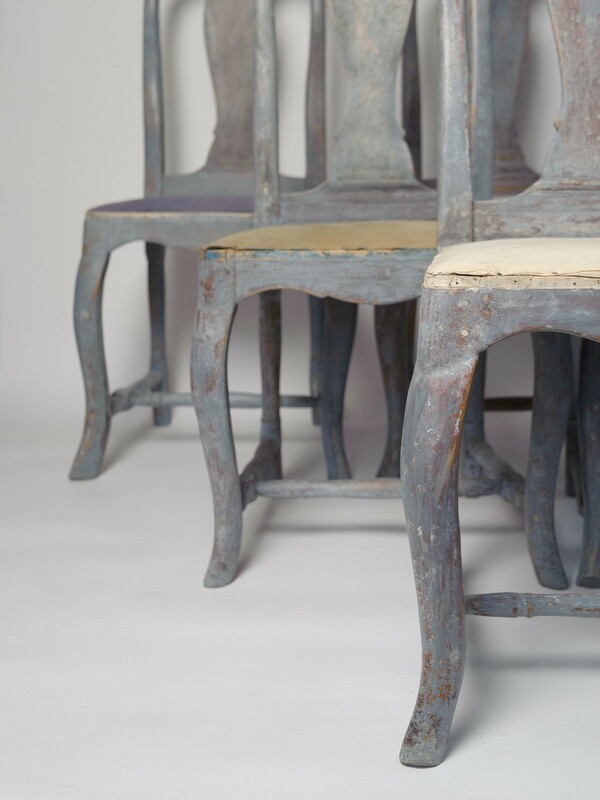 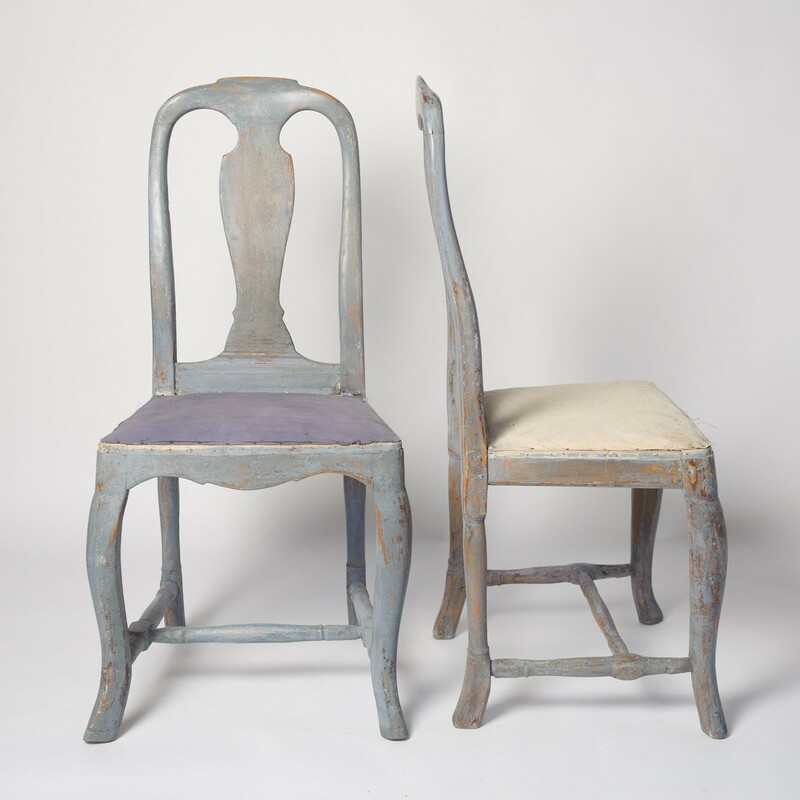 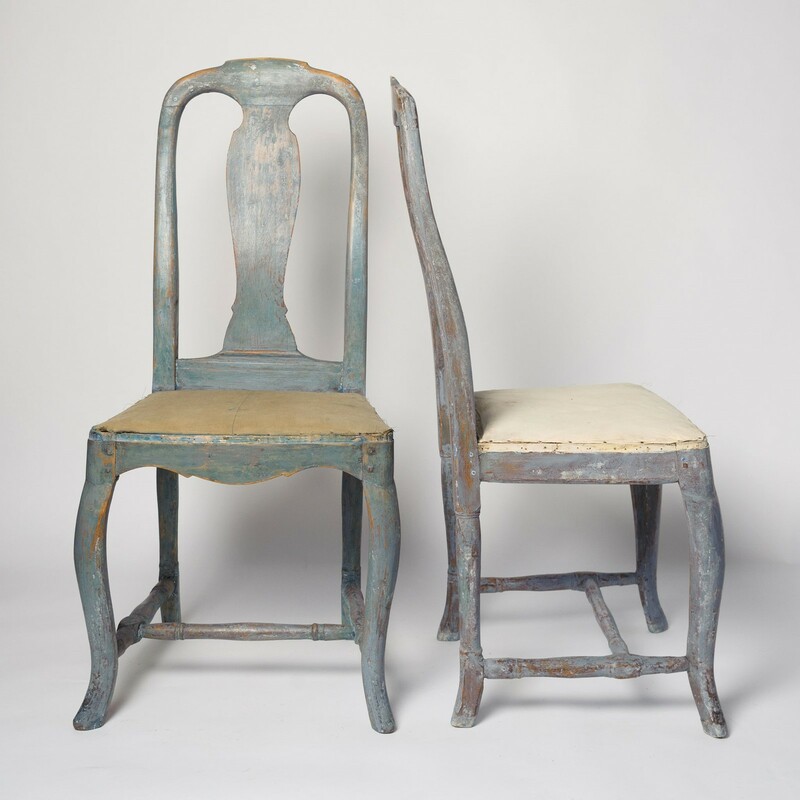 Beautiful delicate shape to these chairs, which have had the old leather seating removed to reveal the antique calico/cotton lining. 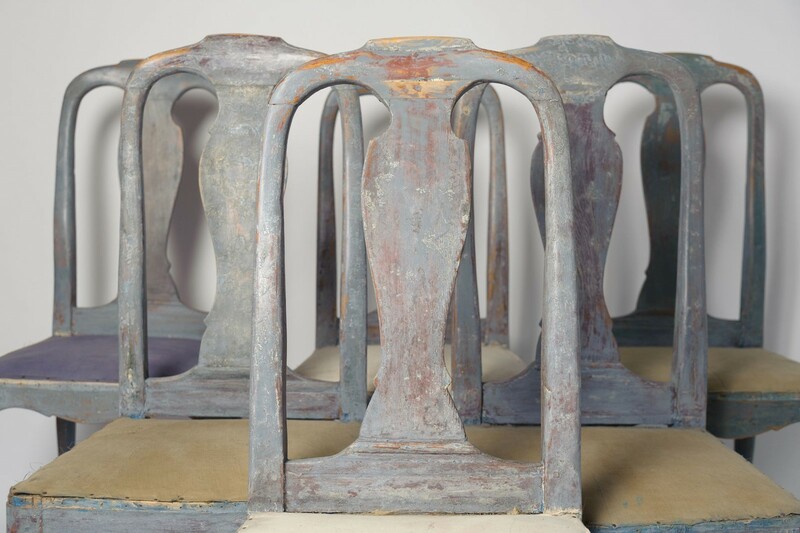 These chairs would have all been individually hand carved, so there will be tiny differences, but two of the back frames are slightly more decorative than the other four, possibly to be placed at either ends of the table. 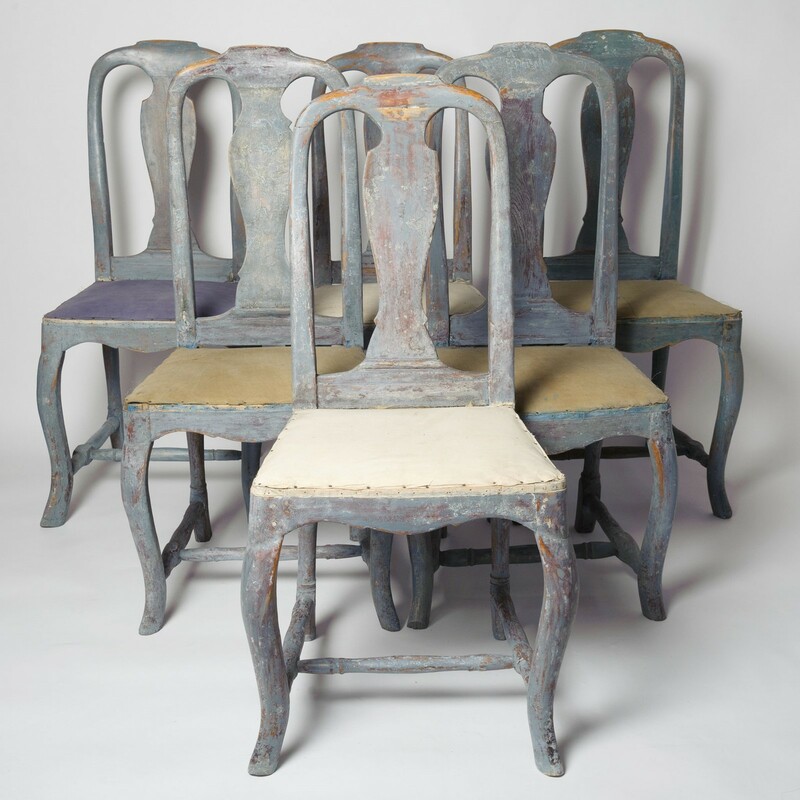 These Chairs would need to be collected from our shop in Hurst Green, East Sussex or Special Courier Delivery to be organised.